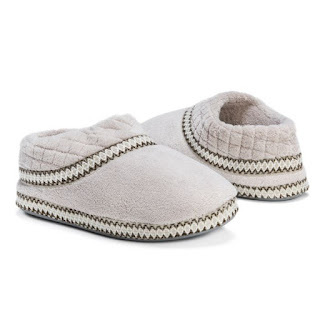 Right now get these MUK LUKS Rita Micro Chenille Full Foot Slippers for only $13.99 (Retail $19.99) + Free shipping! Pamper your feet by picking up a pair of our NEW MUK LUKS Micro Chenille Slippers. The memory foam insole will give your feet the soft and added comfort they deserve. The full foot design allows for added flexibility and still having the slip on convenience. Available in Small (5-6), Medium (7-8), and Large (9-10) in colors Lilly White, Champagne, Hydrangea, and Sea Glass. These slippers can be washed on gentle cycle, no bleach, and lay flat to dry.